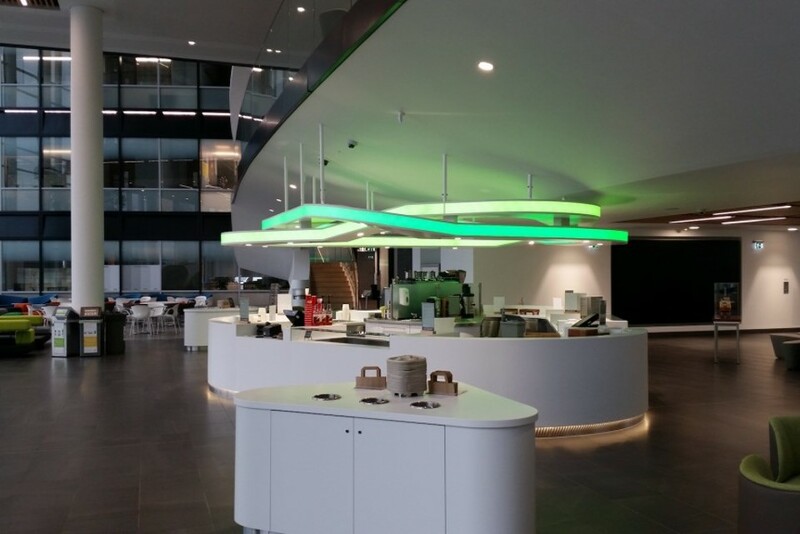 Bright Green Technology worked with Max Fordham Architects and MP Electrical to install a bespoke lighting system at BP’s headquarters in Sunbury. 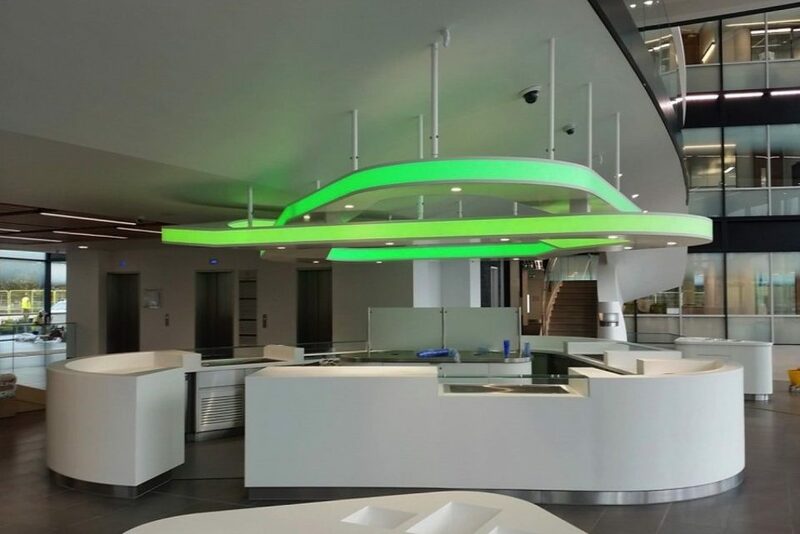 To overcome the challenge of lighting the curved shape consistently on two planes, we supplied Bright Green RGB modules which could be perfectly fitted with a rapid turnaround. 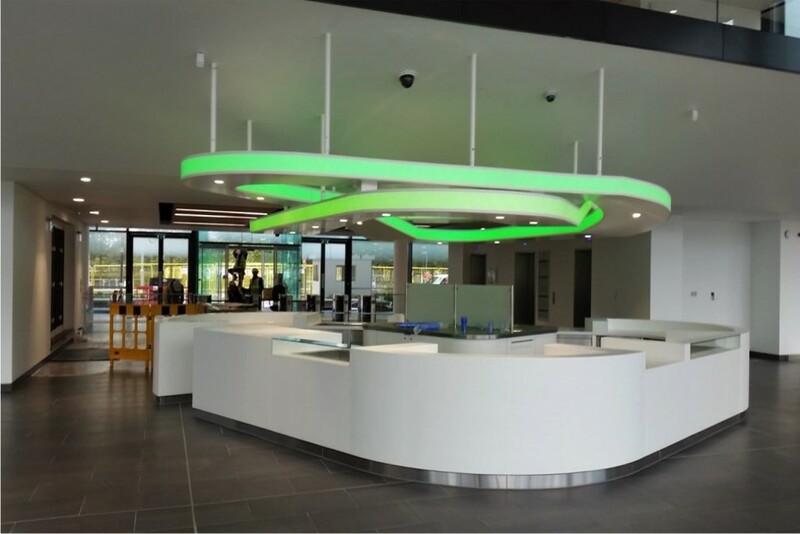 Bright Green Control systems ensure that the RGB balance precisely matches BP’s brand, and bin-controlled LEDs produce consistent colour throughout the shape.